Hey all, was browsing the web and wanted to try this out. Just don't quite understand why you have the hotplate? Is the vacuum not strong enough? I don't have personal experience with it, but I would imagine that a standard Pyrex flask should be just fine - I imagine the seal on the rubber stopper would probably break before the flask does, unless there's a preexisting chip or crack. FWIW, it is possible to do vacuum reduction without a magnetic stirrer/hot plate if anyone happens to want to try this on the cheap. If you don't have a stirring plate Chris Young recommends to add boiling stones to your flask to provide more nucleation sites. You may want to try a faucet powered aspirator for better consistency. I don’t understand how this works. Is the thing you are concentrating in the flask? Looks more like distillation to me. For temp control I’d use a Sous Vide machine. The process is detailed in Modernist Cuisine. FWIW, faucet powered aspirators and medical aspirators are generally considered the safest. But medical aspirators can be quite expensive! 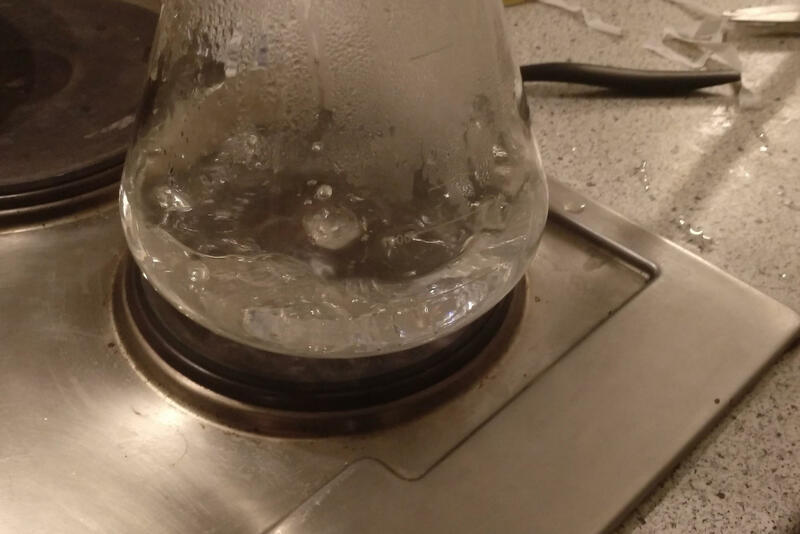 In the following post I PROVE that a $25 faucet aspirator is just as good at compressing as an $850 chamber vacuum sealer—AFTER someone told me is wasn't possible!.. In a nutshell, the result is similar to that of a very expensive rotovap. I've done this with a faucet aspirator also - the biggest problem with it is the huge use of water. 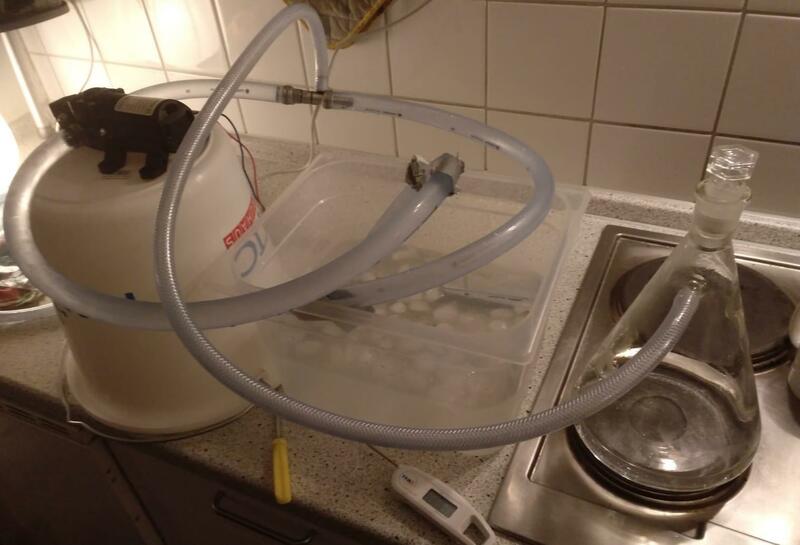 It can be—I created a recirculating set-up to solve that problem and to make the water extremely cold! But, It's been a long time since I've messed with any of it! If one gardens, the "waste water" could also be diverted to that—or the washing machine. I have currently a cheap aspirator from Aliexpress in use. I'll try to connect it to a faucet. 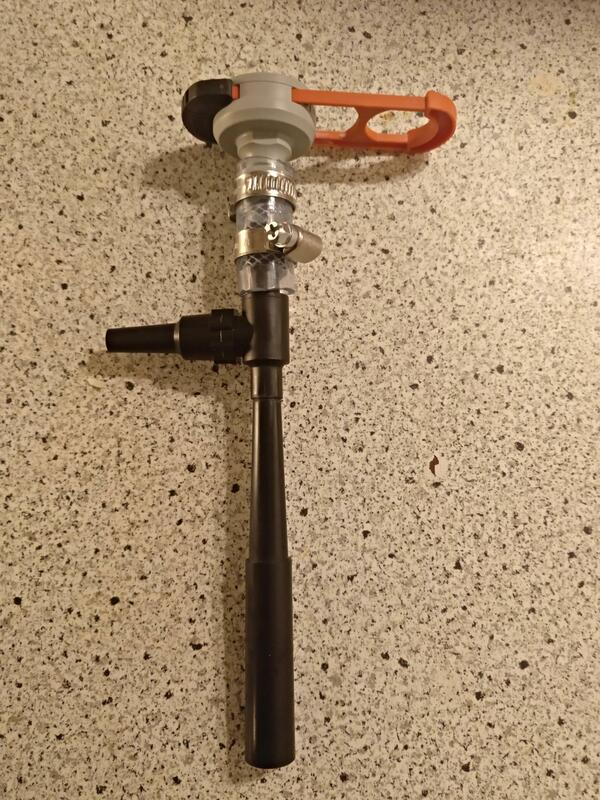 I found another really cheap aspirator on Ebay. I bought it to test if this one is better. If both fail me, I'll buy a more expensive one from a lab supplier. Is there a noticeable difference between the metal one from Humbolt and the plastic one from Brand? For the circulation I currently use a 12v diaphragm water pump and I have a 12v solar pump lying around that I could try. When I was a quondam biochemist a faucet aspirator was the thing to use. The only difference is probably durability. The metal aspirators should be more durable. But, I haven't had a durability problem with the "Brand." So—a faucet aspirator, powered by very cold water—and a vacuum leak check of the system. @THS I believe that the Dynalon 312635 is exactly the same as the faucet aspirator that I have. Here are some updates. I finally got something working! The new aspirator and connecting it directly to a faucet did the trick. The water temperature on my faucet is 13°C and with the created vacuum I could get water to boil at 60°C, which is quite an improvement. My vacuum gauge was most of the time fully maxed out when I tested the aspirator. Next steps are to build a circulation setup with the new aspirator and trying it with ice water. My Goal is to get under 40°C for concentrating. Next weekend I'll try a different liquid than water to see if foaming is an issue that has to be resolved. Small update: I rebuild my recirculation setup with the new aspirator and it's only pulling a -0.5 bar vacuum instead of nearly -1.0 bar when it's directly connected to the faucet. I want to get this project fully working but I'll have to look into getting another pump to build a nice setup, because connecting it directly to the faucet is wasting to much water. what about using a degassing chamber used for silicone rather than the pyrex lab glass? this has always interested me, please add more photos when you've achieved the new set up. what about using a degassing chamber used for silicone rather than the pyrex﻿ lab glass? This should theoretically work, but I used the Modernist Cuisine Post and they have their flask on a hotplate with a magnetic stirrer. I'll post updates when I get new results. The pump upgrade has unfortunately wait for a few months because I have some other kitchen experiments that are costing me money. I currently cannot justify to spend 50-100€ more on this project after the previous failed attempts. @adey73 If you want to get started don't make the same mistakes I made. 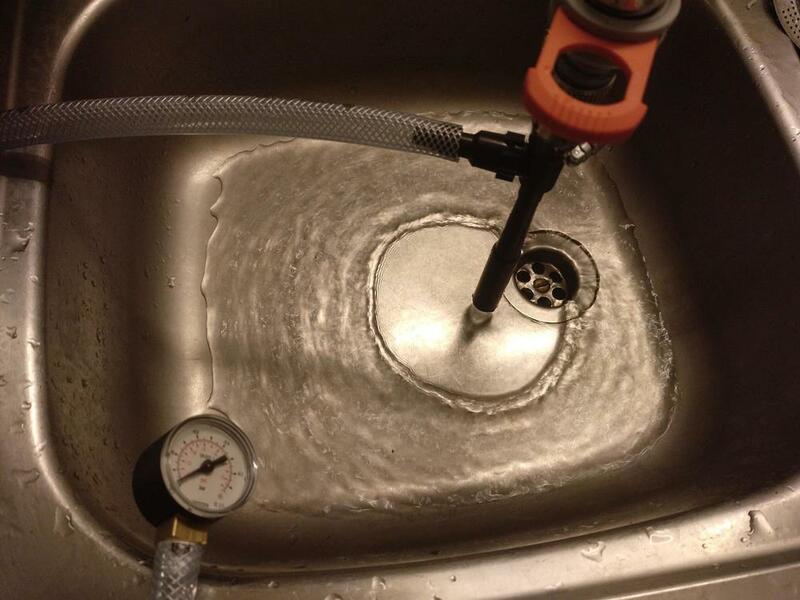 First buy an used lab aspirator on ebay (or similar) and test it with a vacuum gauge on your faucet and then try to build a more complex system. @THS if you were to start over again, what specifically would you buy? And how do you measure the temperature of the fluid inside the vessel you’re seeking to reduce?